When deciding what the best motherboard for gaming is, it is crucial to do some research and find the best one for your needs. 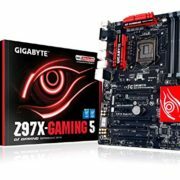 The motherboard that you choose will determine the quality and type of other important components that you can use such as CPU, GPU and RAM, and there are few choices to make to ensure you get the correct gaming motherboard for your set-up. The quality of your PC build all depends on the motherboard you choose. It may seem like a good idea to buy a budget board to make some savings, but just remember that most budget boards can only take low-end and budget components. When you start experiencing laggy gameplay at a crucial moment in the game, you’ll wish you had splashed out on a better motherboard. Trust me. It’s no fun. 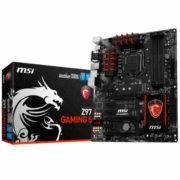 It also makes sense to buy the best gaming motherboard that you can afford, technology is changing so fast that if you want to keep up with the latest and greatest you will need a feature rich and powerful board that can handle upgrades in the future. The motherboards at the top end of the market have been designed with many features that are useful now, but also many features that will be needed in the future when technology jumps forward again. The processor socket in a motherboard determines what types of CPU chips are compatible with the motherboard, and it is a good idea to choose a processor first, and then a motherboard to match. An Intel motherboard socket will usually last for two generations of processor. For example, Intel Socket LGA 1155 was designed for Sandy Bridge CPUs, and was also used for Intel’s Ivy Bridge line of processors. AMD motherboard sockets usually last longer and some can last more than two generatons of processor. 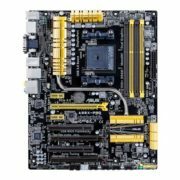 Socket FM2+ motherboards are compatible with Kaveri, Richland and Trinity APUs/CPUs. It is worth remembering that sockets on a motherboard can’t be replaced so if you want to upgrade to a new processor it may require a complete system re-build. You have two options when it comes to choosing a processor socket – Intel or AMD. All motherboards are designed for Intel or AMD processors, but not both. Intel CPUs are generally superior to AMD CPUs and tend to be more popular and widely used. They are more power efficient, and AMD just can’t compete with Intel’s high end processors. At the lower end of the budget scale, some AMD CPUs offer more cores than its Intel counterparts and integrated graphics mean that they are a good option for entry level gaming on a budget. If money is no option then Intel is the way to go. Socket LGA 1151 – This is the latest socket to be released by Intel. It was designed to accommodate Skylake processors, Intel’s 6th generation CPUs. Socket 1151 is also the home of Intel’s 7th generation line of CPUs, Kaby Lake. 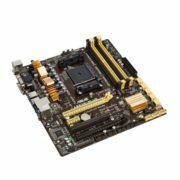 If you are building a gaming computer from scratch, it makes sense to buy a motherboard with a socket 1151 as it will future-proof your build and means you can upgrade easily.Socket 1151 originally supported six different chipsets: H110, B150, Q150, H170, Q170 and Z170. These chipsets offer multiple upgrades from the socket 1150 chipsets, including more USB 3.0 connections, faster DDR4 RAM support, and more SATA 3.0 connections.With the release of Kaby Lake processors came the release of more chipsets for socket 1151. Z720 and H270 are the consumer targeted chipsets and Q270, Q250, B250 are the business targeted chipsets. If you want one of the more powerful processors, as well as overclocking features you will need a motherboard with a Z170 or Z270 chipset. The high-end 7th gen processors include the Core i7-7700K and the Core i5-7600K, which are compatible with both 100-series and 200-series chipsets. The top 6th gen processors include the Core i7-6700K and the Core i5-6600K, which are aslo compatible with 100-series and 200-series chipsets. 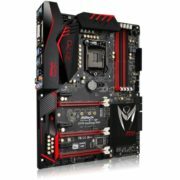 Motherboards with a 100-series chipset, such as Z170, will need a BIOS update to work with 7th gen Kaby Lake CPUs. Socket LGA 1150 – This socket is designed to work with Intel’s fourth-generation Haswell processors. It also supports the two fifth-generation Broadwell desktop CPU’s that were released, the Core i7-5775C and the Core i5-5675C. Socket 1150 originally shipped with 6 different chipsets: H81, B85, Q85, Q87, H87 and Z87. 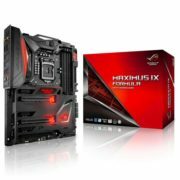 These chipsets were designed for Haswell processors, Haswell Refresh processors are compatible with these chipsets but a BIOS update may be required. In 2014 Intel released two 9-series chipsets for socket 1150, H97 and Z97. These chipsets introduced support for Haswell Refresh CPUs out of the box, and also supported the Broadwell processors that were released. Socket LGA 2011 – This socket was designed for Intel’s extreme high-end Sandy Bridge-E/EP and Ivy Bridge-E/EP processors. The full line of Intel’s Xeon processors also fit in this socket, but these chips were designed for non-consumer use such as in a server or a high-end workstation.There are 6 different chipsets for the LGA 2011 socket, however all of them apart from the X79 chipset were designed for Xeon processors which are not usually worth the money for a home user. LGA 2011-1 is an updated socket that was designed for the Xeon E7 processors. LGA 2011-v3 is another updated version of the socket that was designed for Intel’s Extreme processors, Haswell-E. These CPUs include the eight-core Core i7-5960X, the Core i7-5930K, and the Core i7-5820K. 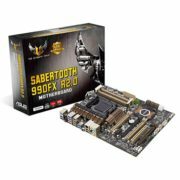 With socket LGA 2011-v3 Intel also introduced a new chipset, X99. Socket LGA 1155 – This socket was released in 2011, and was designed for Intel’s second generation Core processors.LGA 1155 was designed for Sandy Bridge processors (with the exception of the high-end extreme CPUs such as Core i7-3970X and the Core i7-3930K which use the LGA 2011 socket.) Ivy Bridge processors, Intel’s third generation Core processors, also fit into this socket. 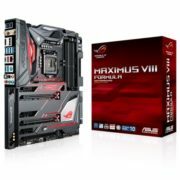 There are 12 chipsets that are compatible with this socket, and the first 6 – B65, H61, Q67, H67, P67 and Z68 were brought out with the release of the older Sandy Bridge processors. With the launch of the Ivy Bridge processors also came the release of 6 new chipsets to accommodate them: B75, Q75, Q77, H77, Z75 and Z77. It is worth noting that older LGA 1155 motherboards will not be compatible with newer Ivy Bridge processors without a BIOS update, so ensure that you check the manufacturer’s website for compatibility issues. LGA 1156 – This socket was released along with Intel’s original Core processors such as the Core i5-750 and the Core i5-760 and was discontinued in 2012. The chipsets that support this socket for desktop use are H55, H57, P55, and Q57. 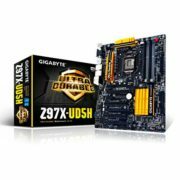 As this motherboard is discontinued it is also pretty old which means there is not much in the way of upgrades available, and it won’t be much use for a gaming machine. 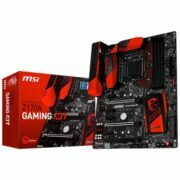 LGA 775 – This socket is the predecessor of socket 1156 and as such any PCs with a motherboard with this socket in it will need a serious upgrade before it can be considered for gaming, in part due to only being compatible with DDR2 RAM. LGA 775 supports Intel’s Pentium 4, Core 2 Duo, Core 2 Extreme and other similarly old processors. Socket FM2+ – This socket was designed for use with AMD’s Steamroller based Kaveri APUs. The best of these APUs are the overclockable A10-7850K and the A10-7800. APUs designed for this socket are not backwards compatible with FM2 or FM1 sockets. Socket FM2 – This socket is used in conjunction with AMD’s Piledriver based Trinity and Richland APUs. Athlon X2 and X4 CPUs based on Trinity and Richland also fit into this socket. The best Trinity APUs are the A10-5800K and the A10-6790K. The best Richland APUs are the A10-6800K and the A10-6700. APUs that are used with this socket are also compatible with the newer FM2+ sockets. Socket FM1 – This socket was introduced for use with first generation APUs and CPUs based on the Llano architecture. It was released in 2011, but because socket FM2 was released just over a year later socket FM1 is essentially obsolete with no upgrade paths available. APUs and CPUs designed for socket FM2/FM2+ are not compatible with socket FM1. Socket AM3/AM3+ – Socket AM3 was designed by AMD in 2009 to provide DDR3 support for its processors. Socket AM3+ is an updated version of the socket that was designed to support AMD’s new line of processors based on the Bulldozer architecture. Socket AM2/AM2+ – These sockets were released in 2006 and 2007 respectively. As these sockets are so old it would be a good idea to completely upgrade your whole system, or if you are building a gaming machine from scratch go with a motherboard with one of the newer sockets. 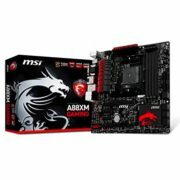 AM2 or AM2+ processors are not compatible with AM3 sockets, however AM3 processors will work in AM2 or AM2+ sockets but the BIOS must support the processor and only DDR2 memory will be supported. In general a newer CPU will fit in an older motherboard socket, but bus speeds and memory support will be reduced. The motherboard will need BIOS support too so it is a better idea just to match the processor to the correct motherboard socket. A motherboard is the main printed circuit board (PCB) in a PC, laptop or other computing device and is also known as a mainboard, system board or logic board. It is one of the most important components of a computer, holding and providing communication between all other crucial components, such as CPU (processor), memory and storage devices. It also houses additional optional components such as graphics card, audio card and wireless card. A chipset is a set of interface controllers that provide the communication between the CPU and other components on the motherboard. Traditional chipsets usually consist of 2 major chips, called the North Bridge and the South Bridge. The North Bridge handles more important tasks, such as connecting the CPU with other important components like the RAM. The South Bridge handles other tasks such as audio and on-board graphics. With more advanced technology in recent times, the CPU can contain a memory controller instead of the North Bridge. Some chipsets combine the North Bridge and the South Bridge into a single chip. Choosing a chipset is becoming less and less of an importance due to the fact that recent CPUs take more of the functionality away from the motherboard and onto the processor itself. This means that things such as RAM compatibility and on-board video performance are determined by the CPU rather than the chipset. The most important aspect when choosing a chipset these days is the feature set it comes with, and also the overclocking capabilities. The form factor of a motherboard relates to the shape and layout of components. The form factor is important as it dictates what case you can get, and also smaller form factors do not have much room for expansion. 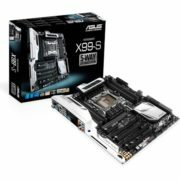 ATX (Advanced Technology Extended) is the current industry standard for motherboards, variations include micro-ATX, mini-ATX and extended or XL-ATX.